Hey everyone, welcome back to my vehicles and motors blog. Self driving cars are becoming increasingly trendy, and with that more companies are jumping onto the bandwagon to create their own driverless experience. Tech behemoth Apple is the latest to follow this trend after obtaining an autonomous testing permit from the Department of Motor Vehicles in California. Apple can now freely test three 2015 Lexus RX450h model vehicles on the public roads in California. The company has yet to divulge any information about when or where testing will begin, however six divers are authorized to be behind the wheels of the vehicles. The company will be due to publish a disengagement report signed off by all drivers on the first on January, 2019. So far, 30 companies have obtained testing permits for the state of California. Apple joins other modern day giants like Uber and Google in the race to develop and perfect autonomous driving technology. Apple’s Project Titan has had many reports come out in the past year including those that say the company is scaling back its autonomous division but the company has kept their lips very tight regarding any real information. The only indication prior to the permit being granted on Friday was in December, after Apple had submitted public comments on a Federal Automated Vehicle Policy. Apple spokespeople were asked for comments after the development on Friday, and referred back to the statement made in December. 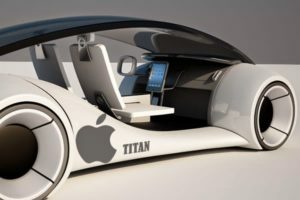 Apple stated that the potential applications for this type of technology are bountiful, and that the future of transportation will wane heavily on the decisions made regarding autonomous systems in the next few years.